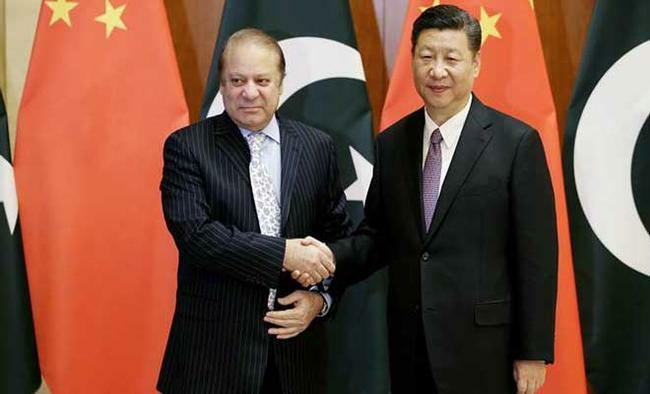 Beijing: China on Monday dismissed as "nonsense" reports about President Xi Jinping not meeting Pakistan Prime Minister Nawaz Sharif on the sidelines of the Shanghai Cooperation Organisation (SCO) summit last week, saying the two leaders met "several times" at the summit. "I can tell you that during the 17th SCO council head of states President Xi Jinping met several times with Pakistani Prime Minister (Nawaz) Sharif and I think some reports are just nonsense and unwarranted," Chinese Foreign Ministry spokesperson Lu Kang said.Lu said that "China and Pakistan enjoy an all-weather strategic partnership". He was reacting to news reports that said Xi snubbed Sharif at the SCO summit by not meeting him after two Chinese citizens were murdered in Pakistan's restive province of Balochistan.Xi met Indian Prime Minister Narendra Modi and Russian President Vladimir Putin on the sidelines, but there were no reports in Chinese media about President Xi meeting Sharif. China last week expressed growing concern over the safety and security of its citizens in Pakistan where it has invested billions of dollars in an economic corridor.Two Chinese teachers, kidnapped from Quetta last month, were killed last week by Islamic State militants. "We are now are coordinating with the Pakistani government and we are speeding our efforts to verify the information, Lu said. China is building the $46 billion China-Pakistan Economic Corridor which connects its Xinjiang province with Gwadar port in Balochistan.